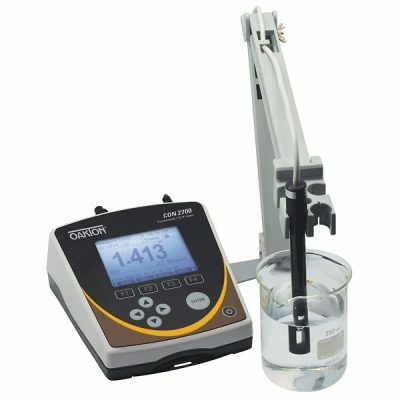 Oakton CON 600 & 610 Meters - Osprey Scientific Inc.
Stores up to 500 data points with time-and-date stamp for GLP compliance. CON 600 meter measures 0 to 200.0 mS range. 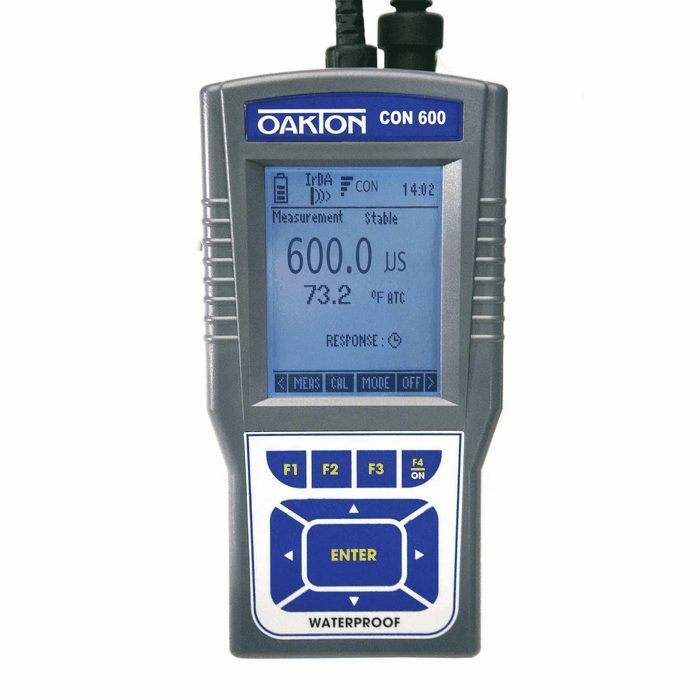 CON 610 meter measures 0 to 500.0 mS range. 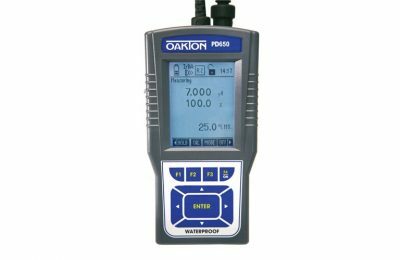 These top-of-the-line waterproof meters offer advanced measurement capabilities to meet all of you testing needs. 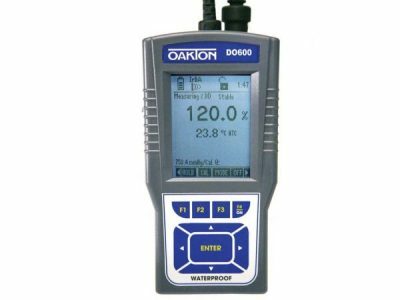 The IP67-rated housing allows use in dirty and we environments without harm to the meter. Store up to 500 data points and download to computer or printer with the infrared (IrDA) wireless technology — no need for additional cords. 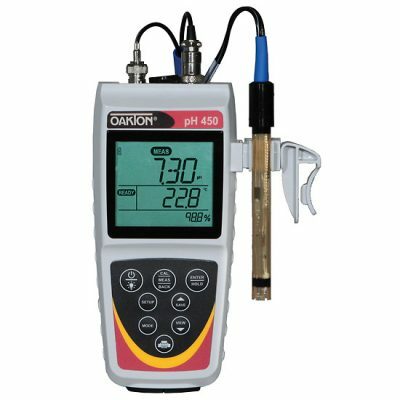 User-selectable ‘calibration due’ and set-point alarms, automatic or manual standards recognition, and single or multiple point calibration provide flexibility in meeting you data quality objectives. The large backlit, dot matrix LCD shows the measured value and units, temperature, time, battery life, and menu options.